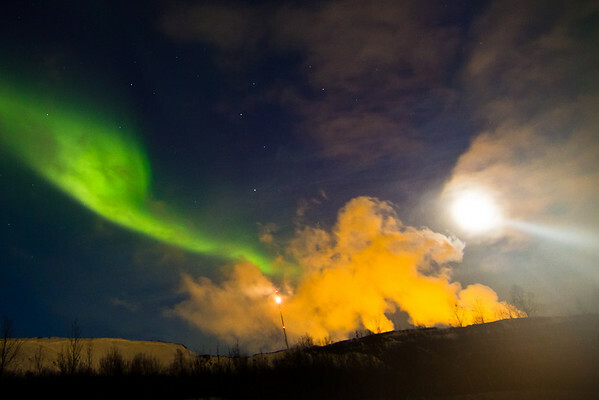 The firecat, the aurora and the moon(beam!). While photographing the aurora overhead, I casually turned around and was amazed to see the smoke from the mines billowing out with very little wind, and somehow merged into the form of a large cat. The mine activity was signaled by the light tower that illuminated the cat into the firecat!